If you’re looking for a simple and effective waste management solution, skip hire is usually your best bet for getting the job done. Home renovation projects often create too much waste for one person to manage and a skip is required. Before you hire a skip, however, there are some key considerations you should make in order to get the best service and value for your money. Our top tips for skip hire follow. When hiring a Skip company, always go for a professional service. Avoid employing an unlicensed provider no matter how cheap their prices are. The reason for this is because the individual or company may not have a public liability insurance or a waste carrier licence, which are both legal requirements for proper waste disposal. If you do hire an unlicensed company however, accountability will fall to you, meaning you will be responsible for any charges based on incorrect usage. Skips are incredibly useful for the disposal of waste, but there are restrictions on what can be put in them. All reputable skip hire companies should provide you with this information including the necessary health and safety requirements, as well as a detailed list of what can and cannot go in a skip. Here’s a basic list to be aware of. Skip permits are required when you are placing your hired skip on government managed land such as a public road but many independent providers will not supply a license or even tell you that one is required. If the skip is going to be stored on private land such as your driveway, you will not need a permit. If you do require a public land permit Frank Key can provide this given a 48 hour notice period. It’s easy to overlook checking the size of the skip you’re getting, but it’s critically important to make sure you don’t overspend on hiring costs. 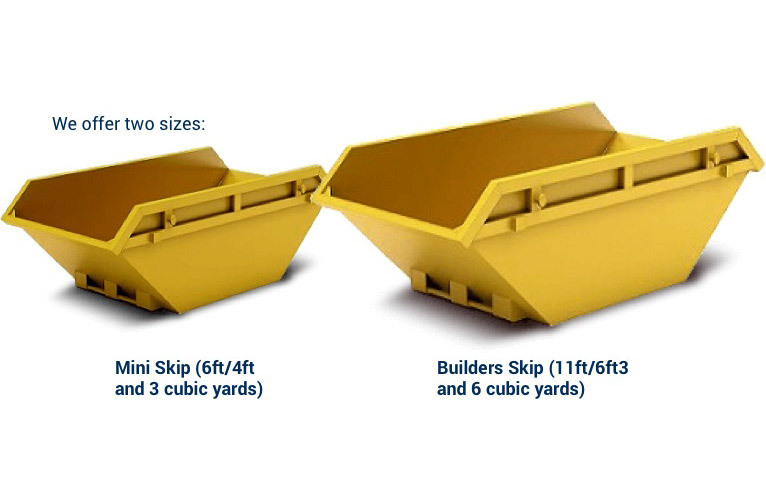 Underestimating the space you will need is common, so make sure to check the dimensions of the skip you’re getting. At Frank Key, we offer an excellent skip hire service. Delivering across Nottinghamshire, we supply two sizes for you to choose from, as well as waste disposal bags for smaller jobs. If you are unsure of the size you require, please contact our team at skips@frank-key.co.uk or book skip hire in Nottingham online.